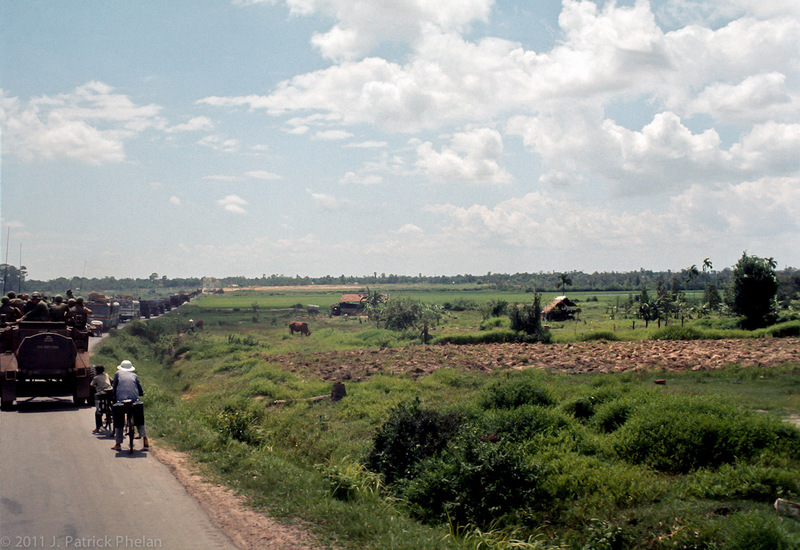 A convoy of personel carriers, tanks, and other military vehicles sits on the MSR with Vietnamese in buses and on bicycles mixed in with the armored vehicles. The bare brown patch of earth at the tree line just to the right of the road is the site of an abandoned fire support base. This site is very close to where the famous photograph, taken by Nick Ut, of 9 year old Phan Thi Kim Phuc is seen running down the road, arms outstreched, after ripping her napalm covered clothes off of herself.